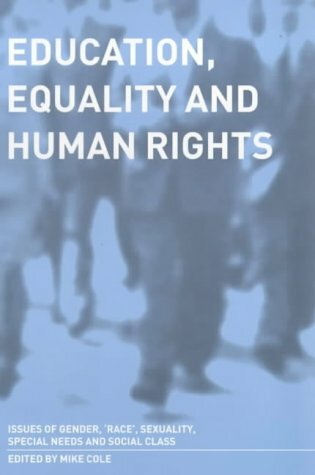 A comprehensive study and reference book on equality and education. It addresses the issues of human rights and their relationship to education. Race, disability, gender, sexuality and social class are all covered in a format that should make this a useful source book for undergraduate and postgraduate students. Professor Mike Cole is Research Professor in Education and Equality at Bishop Grosseteste College, UK. He has published a number of books in the field of education and equality and is well known for his research into issues of Marxism and educational theory.